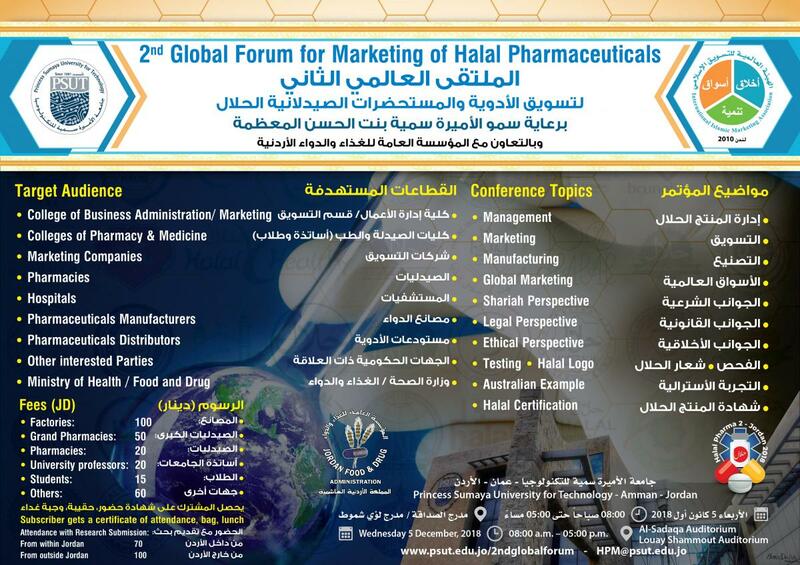 Event: The 2nd Global Forum for Marketing of Halal Pharmaceuticals,Halal Pharma 2. Princess Sumaya University for Technology and the International Islamic Marketing Association are pleased to invite you and your esteemed institution to attend the 2nd Global Forum for Marketing of Halal Pharmaceuticals to be held in Amman in December 2018. 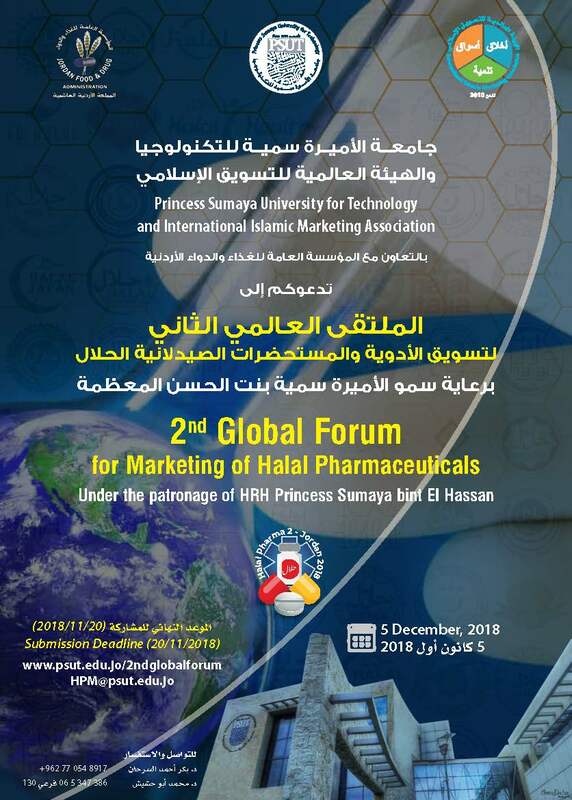 This forum, which is the only forum of its kind in the world, will address the various issues related to the manufacturing, marketing, management, and logistics of Halal pharmaceuticals as well as the latest developments in these areas. Attending Halal Pharma 2, Amman, will allow you to meet the movers and shakers in this industry at both the local and international levels. 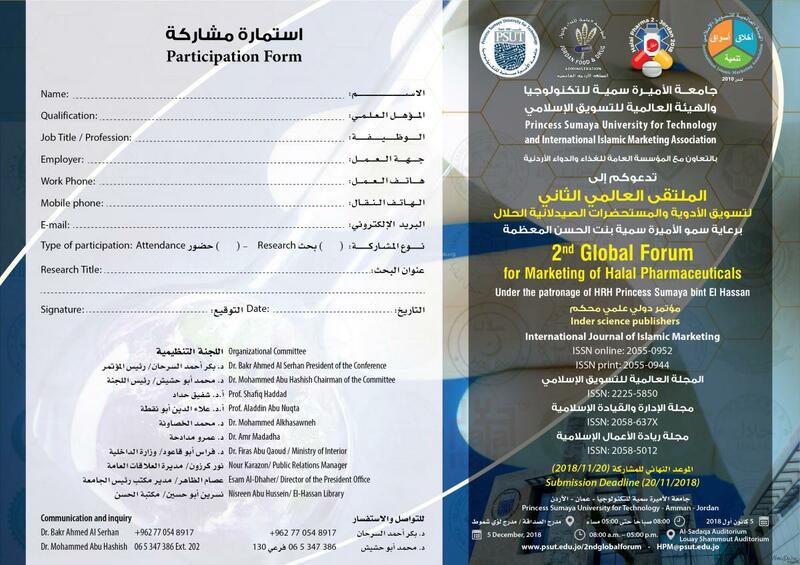 In addition, papers presented at the forum will be considered for publication in the journal’s sponsoring the event.